From business tech to in-home wifi, Fortune 500 giant CenturyLink connects millions of Americans every day. CenturyLink, one of the nation’s largest 200 companies, has traditionally existed as a rural provider of landline SMB and consumer telecom services. A decline in these traditional services has prompted CenturyLink to aggressively pivot to a major cloud and business network services provider. 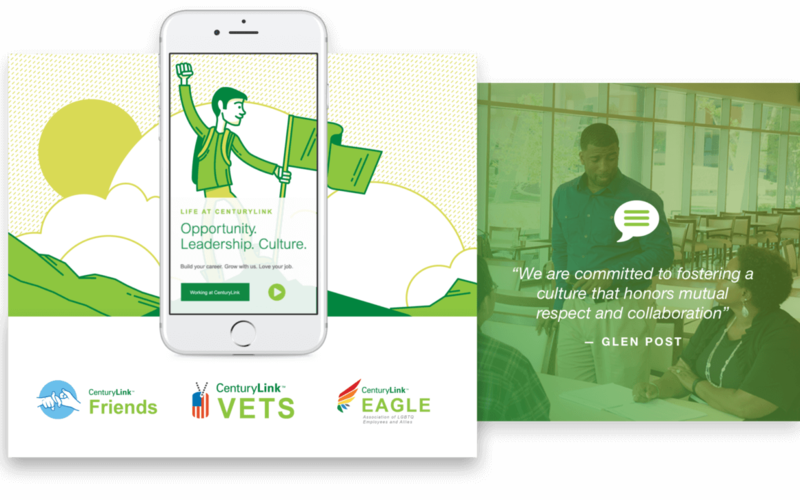 Our team was brought in as CenturyLink’s strategic and creative partner to communicate this new brand positioning to a millennial audience and increase recruitment of younger talent to the CenturyLink team. Our first meetings with the CenturyLink team happened on-site, where we spent afternoons somewhere between deep dive research and the fully stocked on-campus dining hall. 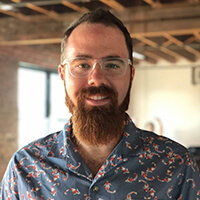 Our approach started with strategy, understanding the shift in CenturyLink’s brand positioning and imagining ways to allow younger people to share in this massive pivot. From here, we rolled out a series of websites aimed at attracting younger users and highlighting CenturyLink’s culture and campus. We simultaneously messaged existing markets with digital ads and fully animated video spots that unveiled the new face of CenturyLink. On the recruitment end, we revitalized trade show and on-campus branding through new creative and virtual reality experiences intended to show the things that make CenturyLink most exciting. Big companies often move slow, so we were brought in to move fast. Amidst a matrix of web pages scattered across the internet, we worked to bring focus to the brand by unifying the visuals and messages. We rolled out modern, mobile web layouts while elevating the messaging to speak to a new generation of customers and recruits. Coupled with dozens of new landing pages, we produced engaging video content that would begin shifting the narrative around the brand and create a cohesive web experience. 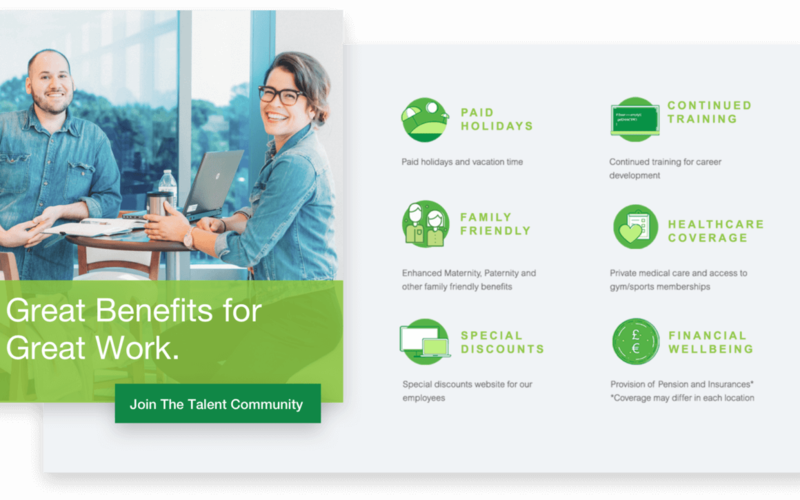 Since their origin as a 75-customer phone company, CenturyLink has always existed to connect people. 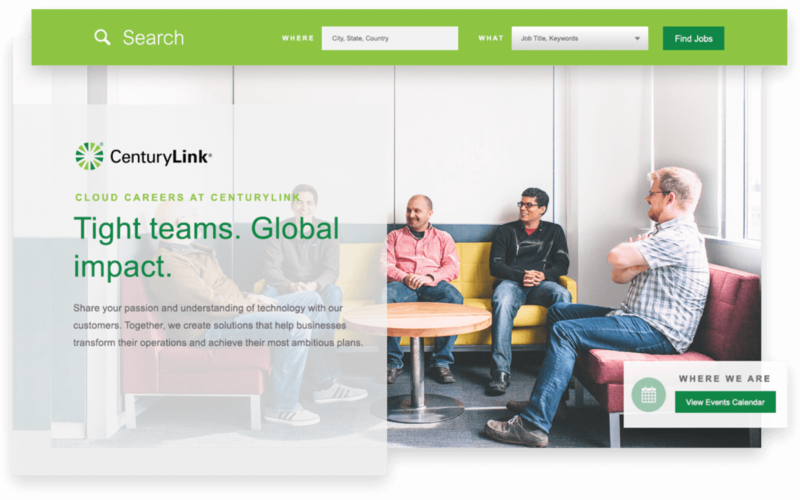 We shifted the public focus from “what is CenturyLink” to “who is CenturyLink,” by highlighting the people who make up the organization and telling stories worth sharing in a sharing economy. 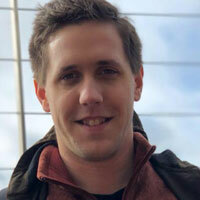 Engaging content delivered across all phases of the user journey. 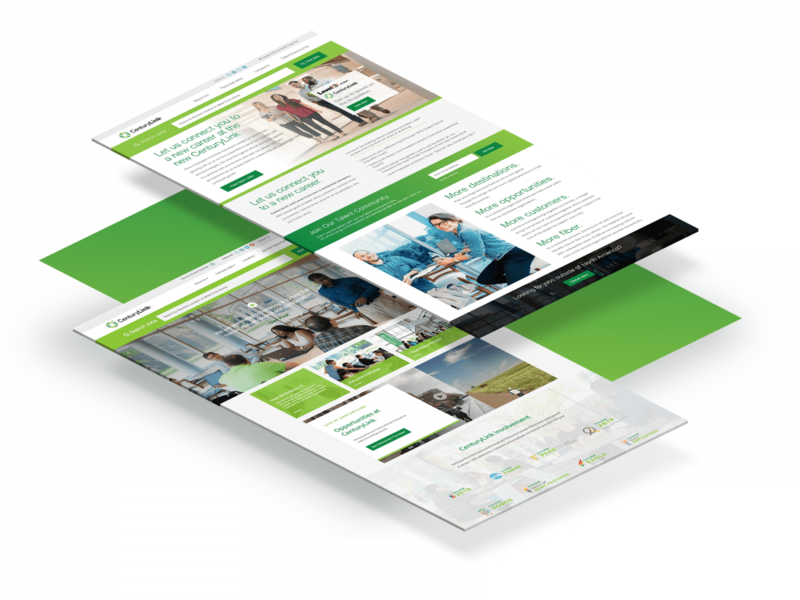 We designed landing pages tailored to every audience segment so that CenturyLink could speak directly to each candidate and provide the content that they care about most. Technically, these landing pages provide critical analytics for future decision making. Our design team hand-illustrated icons that gave life and personality to the brand message. We told CenturyLink’s story using animated video content that was scripted, storyboarded and produced in our studio. The videos were distributed nationally across digital networks. We illustrated lively characters and scenes to capture CenturyLink’s approachability. To attract younger, creative minds we developed a style that was an intentional departure from the traditional corporate look and feel that the world had grown used to.